American whiskey has a powerful set of mental images attached to it. Whether it be prohibition bootleggers in souped-up Fords blowing through the G-men’s roadblocks, or a bartender with black teeth slopping rye into shot glasses for frontier-town cowboys, it is a drink with pathos. Bourbon is the King of American whiskeys. It demands to be drunk during poker nights and in an Old Fashioned makes one of the all-time great cocktails. By rights, on the back of every bourbon bottle label there should be a Confederate flag, and thus, BarLifeUK were very excited to visit the Buffalo Trace distillery in Lexington last month. 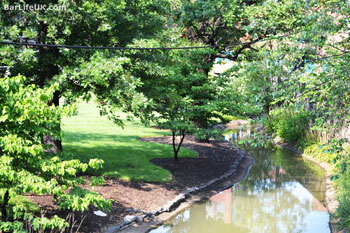 If bourbon means Wild West to you, Lexington, Kentucky, would come as a bit of a surprise. As our plane dipped down through the clouds to land, we could see lush green grass from horizon to horizon, covered with fences in neat squares. Lexington is horse country and there were paddocks and stables everywhere, as far as the eye could see. Instead of the blazing, dry desert heat of a Sergio Leone Western, Lexington is humid in the extreme. I can tell you now, this does not make for a mild hangover, something that is easy to come by courtesy of the town’s many excellent saloons and the fantastic Kentucky Ale (We visited the brewery, a report will follow shortly). 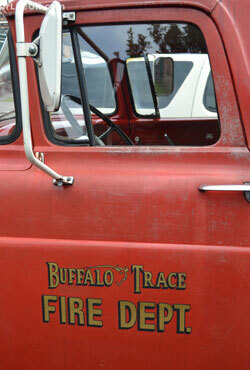 Why Buffalo Trace? 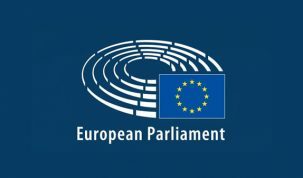 What does the name mean? 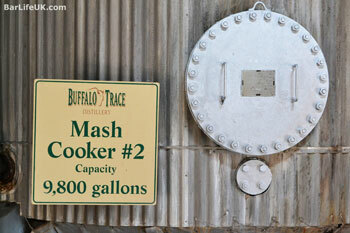 The Buffalo Trace distillery is huge, sprawling over 119 acres. Driving from the highway to the visitor center takes a good five minutes, and the grounds are immaculately well kept. It reminded me of a cross between an up-scale golf course and an ornamental garden – a place where pride is taken in a job well done and God is in the details. The buildings themselves, all 114 of them, are something of a hodge-podge. There is no uniform design – things have been added over the years as the operation has grown, and were built to do a job out of the materials at hand. A huge buffalo painted on the side of a water tower looks down on the entire campus, reminding everyone about the job at hand. Back in Wild West days, as huge herds of buffalo roamed America, they carved tracks into the wilderness, called ‘traces’. Pioneers used to follow these traces as they explored, and one, The Great Buffalo Trace, led to the Kentucky River. Millions of buffalo crossed the river here during their migration to the Great Plains, and this created a clearing on the banks of the river, which was settled by pioneers in 1775. 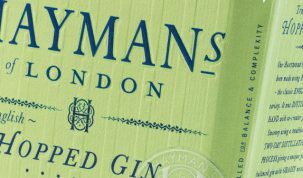 The settlement steadily grew and there has been a functioning distillery on the site since 1787, with the first modern, steam-powered distillery built in 1857. Bourbon luminary E.H. Taylor Jr. bought the site and by 1886 it had the USA’s first climate controlled warehousing, necessary to mitigate the wild swings in temperature Kentucky experiences from Summer to Winter. The distillery was renamed in 1999, from George T Stagg to Buffalo Trace, a nod to not just the distillery’s, but also the town’s foundation in the 1700s. The distillery itself is the familiar mix of clinical clean and cobwebs. Huge halls filled with gleaming stainless steel pipes and copper stills take care of creating the bourbon, while quiet, cool and very peaceful wood and brick warehouses coddle the barrels as they age. I’d had a messy time of it the night before, drinking with a bunch of US Marines and a delegation of N.O.B.L.E cops (National Organisation of Black Law Enforcement Executives), randomly met in a pool bar called Yesterdays. Despite my well-documented fear of spiders, I would have paid a lot of money for a sleep in that warehouse – It smelled marvelous and was a haven from the humidity outside. 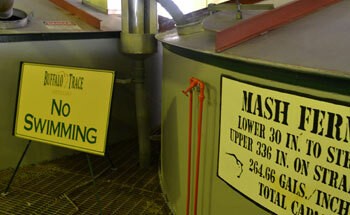 On face value, distilleries are all much the same. This was my first bourbon distillery, and equipment wise, it resembled the Scotch distilleries I have visited. But the atmosphere was very different, and so were the people. Where Scotch whisky distilleries tend to feel quite monastic and almost solemn, the Buffalo Trace distillery was much more ‘fun’. Just like their Highland forebears, it has people who have worked on the site for much of their lives, but they had suntans and laughed a lot. Scotch, for me, has an air of quiet contemplation about it; bourbon, on the other hand, is the spirit of high times and misbehaving, and the Buffalo Trace distillery did nothing to dispel this impression. 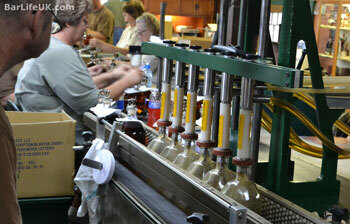 We visited the Blantons’ bottling line at one point, and the cottage industry feel of it was almost comical. Several women and one slightly browbeaten-looking man sat around a small table as the bottles slowly circulated. Labels were affixed by hand and silver horse stoppers picked from a tub and screwed into place to a non-stop stream of gossip and laughter. It might not be the most mentally stimulating of jobs, but they seemed to be having a whale of a time doing it. The tour ended with a tasting. 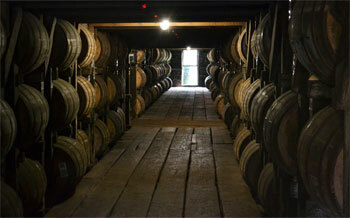 We tried Buffalo Trace, Blantons and Eagle Rare at various stages of their production and maturation. We listened to descriptions of the dozens of experiments sitting in warehouses, waiting for the years to tick by until they can be opened, and declared a success or a failure. 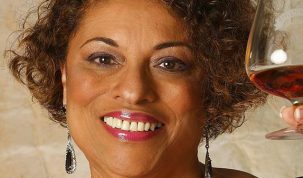 I marveled at the patience required for this – how could you resist a sneaky nip and a rushed judgment? The Buffalo Trace distillery has won over 200 medals and awards over the last 20 years, and you might be surprised to learn that as well as their eponymous bourbon, Sazerac Rye, Blanton’s and Pappy Van Winkle are among the whiskeys produced here. It goes without saying that should you be given the chance to visit the distillery, you should take it.